Inspired by an article carried in the March 4th edition of the Dallas Business Journal (DBJ), our two-part post entitled, “If you’re in business, you plan. It’s what you do,” discusses planning for one of the worst things imaginable – a natural or man-made disaster that could cripple your business. The DBJ article outlined five specific areas that are critical to disaster planning; in this two-part post, we are focusing on two of the most critical areas – data preservation and information safety. Part 1 discussed protecting your physical documents and business records, and concluded that the only way to truly protect them from deletion or destruction was to digitize and index them using a document management system, which will also provide instant access while carrying out your daily work responsibilities. In this, the sec ond and final part, we will focus on backup, disaster recovery and business continuity – or BDR/BC. Gotta love those acronyms… Before we dive into what each of those acronyms mean, though, we need to lay a little groundwork. First there are two causes of disasters – natural and man-made. Natural disasters are the ones everybody thinks of – e.g., storm damage, floods, tornados, hurricanes, earthquakes, and so on. 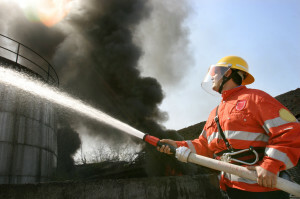 But we can’t forget about the man-made disasters – e.g., data breaches caused by hackers, phishers, or disgruntled employees; intentional or accidental sabotage (mass deletion of data, the unleashing of viruses or other malware), again by hackers or disgruntled employees; vandalism; arson or accidental fires, etc. Bringing this back home and putting it into the context of our I.T. assets (network hardware/servers and data), any of these causes could result in one of two unpleasant outcomes: a) a critical server failure, which is self-explanatory; or b) a facility failure, where your entire network and possibly your facility itself is destroyed or damaged so severely that you cannot continue with your daily operations – at least not from that facility. So… with that in mind, what exactly is BDR/BC? Let’s start with the BDR part. Just about everyone is familiar with the “B” in BDR – that being Backup. Every day, or sometimes multiple times a day, an organization – be it a school district, bank, healthcare provider, property management company or association, government agency, or any business – backs up its data files (or at least it should). This backup could be: a) to some sort of removable media, e.g., tapes, CD/DVDs, USB drives, etc. ; b) to another hard drive on the network (also called disk-to-disk backup); and/or c) to the cloud or an offsite data center. The “DR”, or disaster recovery, involves the recovery and restoration of that data to your server(s). 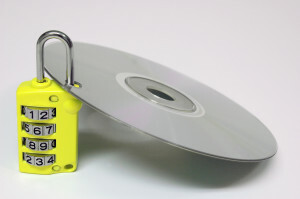 Each of the backup types has its pros and cons: Removable media results in a copy of your data kept off-site (assuming you actually take it off-site) – which protects your data from being lost in a fire, flood, tornado, and so on. The down-sides are that a) both the backup and restore processes are slow when using removable media; b) depending upon the amount of data being backed up, you may need to wait around to put in a second (or third, fourth, etc.) tape/CD/DVD; and c) in the event of a server failure, you have to wait until a new server is obtained, configured, and re-loaded. Ditto in the event of a facility failure; business operations are at a stand-still. Disk-to-disk backups allow for much faster backup and recovery processes, and alleviate the need to use multiple tapes/CDs/DVDs (assuming that your destination drive is sized properly). As in disk-to-removable media situations, disk-to-disk backups allow you to restore the data only after replacement servers have been obtained, configured, and reloaded. This might be the least of your worries, though – because, in the event of a facility failure, unless the disk to which you backed up is located off-site, your backup disk was just destroyed along with your server(s). Business is, again, at a standstill. Disk-to-cloud backups appear to offer the best of both worlds in that the backup and restoration processes are faster, and they do not involve multiple tapes/CDs/DVDs. You don’t have to worry about your backup being destroyed with your servers, because it is safely stored in the cloud. Unfortunately, though, just as with disk-to-removable media and disk-to-disk backups, in the event of a server failure, business is once again at a standstill until a new server (or servers) can be obtained, configured, and reloaded. Ditto (again) in the event of a facility failure; business operations are at a stand-still. 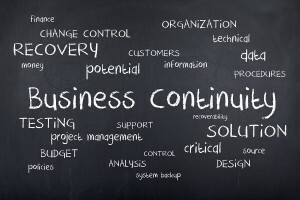 This is where t he “BC” or business continuity comes in. 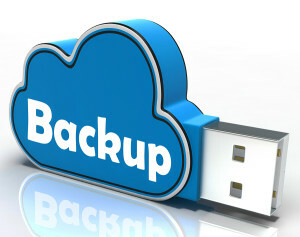 In a complete BDR/BC solution from Bull Valley Software, we implement a disk-to-disk-to-cloud backup – so that the first backup copy is located on an on-site device to facilitate a faster recovery (if a server or complete facility failure is not at issue), and a duplicate copy is stored on the cloud for added protection. In addition, we create duplicate, virtual images of all of your critical servers – again, both onsite and in the cloud. This means that, whether you experience a server failure or even a complete facility destruction, all of your critical servers can “come to life” in a virtual environment with little or no delay, your employees can work from home or from a temporary facility, and business can continue (at least from an I.T. perspective) as if nothing happened. For more information on our BDR/BC services, CLICK HERE, call 815-788-1888, or email SalesAdmin@BullValleySoftware.com.